Keeping track of time you spend working on your projects. This is what Thyme is good at. Log how much time you spent on a task. Perfect for logging hours and billing clients. Thyme values your privacy. Every feature is developed with a privacy-first security approach. All the data you enter is yours, and yours alone by default. 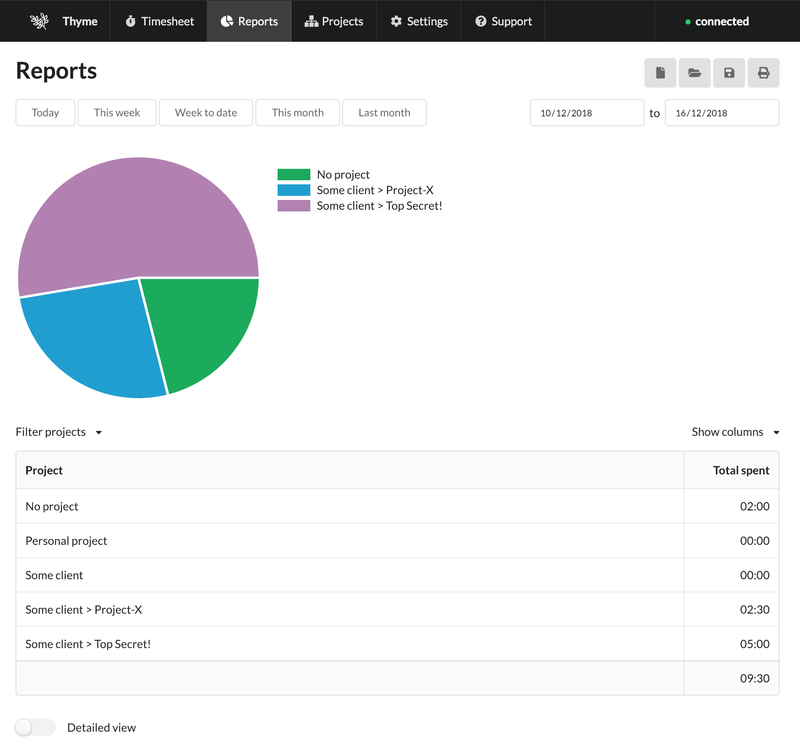 Create and export reports of your timesheets for your archive and get insights in the hours you spent during the week. Reports can be saved as PDF files for backups or as quick reports to attach to your invoices to clients. You don't need other people (and companies) looking over your shoulder when keeping your time. With Thyme you control and keep your own data right in your browser. 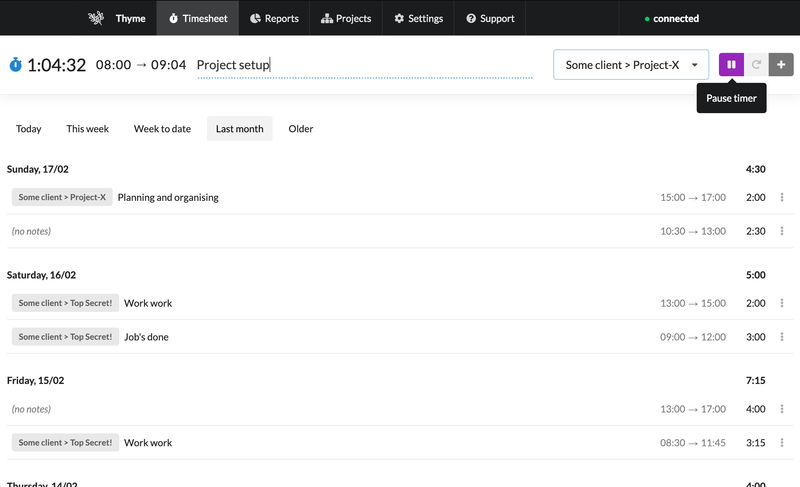 When it's time to bill your customers, or when you want to see a quick overview of the time you spent on a specific project, you can create a report with the time you already logged. This includes a more detailed version with your notes and more. Also, reports can be easily exported to PDF or printed. To keep Thyme as transparent as possible, it is maintained as an open source projected where anybody can suggest improvements and help out. Thyme uses a service called the Thyme-Capsule where you can create an account and sync your data securely with our cloud server. When you log in on another device your data will be synced across all devices and stored safely.